Million Dollar HDBs: The new norm for public housing in Singapore? Million dollar HDBs have become the Singaporean equivalent of Bigfoot sightings. Every time it happens, we hear the same two things: HDB flats are infallible investments (a dangerous myth), and housing will be unaffordable for our children. But this kind of overreaction often ignores all context, and overplays the significance of these outliers. The “million dollar HDB” phenomenon started in 2012. This was a unit at Block 149 Mei Ling Street in Queenstown – it was a 1,615 square foot unit with a Cash Over Valuation (COV) of $195,000. In 2013, at the peak of the property craze, we saw a Maisonette at Bishan sell for $1.05 million, at a COV of $250,000, and we saw a repeat performance in 2015. The [email protected], however, still comes out ahead – to date, no less than six flats in that development have reached $1 million or more. Seasoned property investors will shrug this off – they are among the most pragmatic kind of investors and they know to plan for the probable, not the potential. But the reaction from the general public swings between the alarmist, and the wildly unrealistic. On the one hand, we will hear inevitable complaints about how the cost of housing is out of control. Nothing could be further from the truth, given that cooling measures have been very successful (some might claim too successful) in driving prices down. Resale flat prices were down 1.6 per cent in 2015, but a million dollar flat is a much louder headline. Another overreaction is the unreasonable optimism that follows such reports. When the first few million dollar flats hit the market, analysts delivered statements that can only be called balloon reports. The number of million dollar HDBs is, to our knowledge, within the double digits. This is a trivial number, when compared with the millions of HDB flats that do not transact at such prices. Even at the heady property peaks of 2011 to 2013, a million dollar flat was hardly “a norm”, as evidenced by the media attention each one received. Furthermore, most million dollar flats happened in 2013, when COVs were still high. At the time, the median COV throughout Singapore was around $33,000. For million dollar flats, it was often sky high COV prices ($195,000 or more) that drove the property past the million dollar mark – bear in mind the actual valuation of the property was, and probably still is, much lower than that. A repeat bout of high COVs is unlikely. New rules require that COV is not revealed until the whole property price has been agreed upon. In addition to the slew of cooling measures, median COVs in many estates were already $0 by late 2014. Given the government’s commitment to affordable housing, the policies holding down COVs are not likely to change soon. In addition, the supply of HDB flats is now a lot larger. HDB mentioned a “bumper crop” of 12,000 new flats as far back as November 2015, and we are expecting to see completion of around 28,000 HDB units in 2016. There will continue to be occasional million dollar HDBs, due to unique combination of factors like location and scarcity (see below.) But these units are outliers, and there is nothing to suggest they reflect on the appreciation of HDB flats in general. As mentioned above, many million dollar flats happen because of high COVs. That, in turn, reflects on how the prices were driven by sentiment. A home buyer (as opposed to an investor) may not adhere to conventional strategies when buying property. To a home buyer, resale value or rental income may only be an afterthought. Some never intend to rent out their property, and may see themselves staying for most or all of their lives. As such, they may be willing to pay more than the property is worth – they are looking for a home, not a return on investment. Sometimes sellers get lucky, and find this kind of buyer. But it is not something any flat owner can, or should, reasonably count on. The fact that one buyer was willing to pay a quarter of a million above the flat’s value is not indicative of the market as a whole. The headlines for million dollars have consistently been misleading. Many of the units referred to are not regular HDB flats. 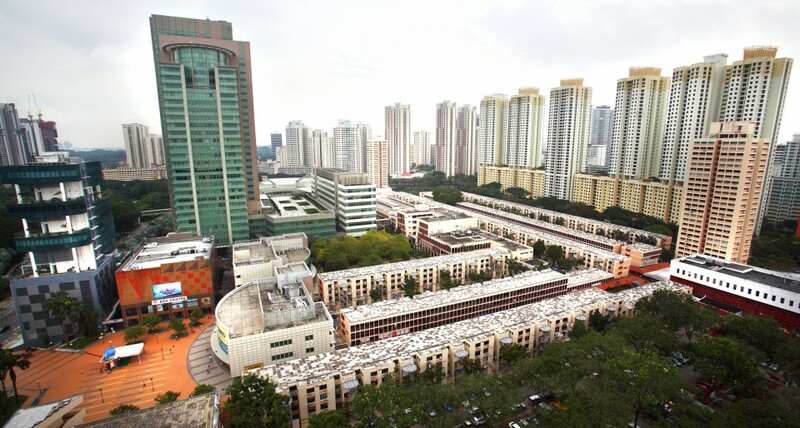 The Bishan maisonettes, for example, are a type of flat that was constructed in the 1980s, and construction of these flat types stopped with the launch of Executive Condominiums (ECs) in 1995. Maisonettes are different from most regular flats, having a large floor space of around 150 square metres. [email protected], a famed producer of million dollar five-room flats, is not a typical HDB development either. A simple visit to the Skybridges will confirm it, and its location (right in Tanjong Pagar) is not something most flats are blessed with. In one of the cases, the “million dollar HDB” in question was a corner house in Whampoa. This is an actual terrace house, and is one of only 285 ever built. It goes without saying that this “landed public property” must be considered a separate entity from HDB flats in general. We should stop seeing these flats as any kind of indicator of our public housing sector. It is as unreasonable as measuring food costs by surveying five star restaurants, or gauging transport costs based on Ferrari prices. Million dollar flats make an interesting media story – but Singaporean home buyers should remember these situations are outliers. They are not “warning signs” of uncontrolled housing prices, or a suggestion that HDB flats are the only retirement plan we need.